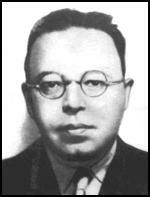 Alexander Radó, the son of a businessman, was born into a Jewish family in Újpest on 5th November 1899. He studied law at the University of Budapest but during the First World War he was drafted into the Austro-Hungarian Army. Rado, a supporter of the Russian Revolution, joined the the Hungarian Communist Party in December 1918, and took part in the fighting against anti-communist insurgents in Budapest. After the revolution was suppressed he moved to Austria and studied geography at Vienna University. While living in Vienna he continued to be involved in left-wing politics. Radó was also involved in the failed German Revolution in 1923. The following year he moved to Moscow worked for the All-Union Society for Cultural Contacts with Abroad (VOKS) and then for the World Economy Institute of the Communist Academy. In 1926 he taught geography at the Marxist Workers' School in Berlin. A fellow communist, Leopold Trepper, commented: "Alexander Radó, who had been a communist militant since his youth and had played an active part in the Hungarian uprising of Bela Kun. Radó was a remarkably learned man; he was a well-known geographer, and he spoke several languages." In 1933 Adolf Hitler gained power in Germany and Radó and his wife Helene were forced to leave the country. He moved to Paris where he established Inpress, an independent anti-Nazi press agency. 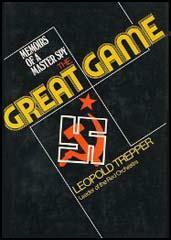 In 1935 he agreed to work as a spy for Soviet military intelligence. His main task was to obtain information from Nazi Germany. He was also active in Italy, Belgium and Switzerland. In 1941 he provided details of Operation Barbarosa but Joseph Stalin ignored the information. Richard Deacon, the author of A History of the Russian Secret Service (1972), has argued: "Radó's greatest asset was his personal charm, which won him a wide circle of friends, none of whom suspected his true role but all of whom in some way or other unwittingly served his purpose. He had a genius for drawing intelligence out of unsuspecting friends. In Geneva he lived an outwardly respectable life with his wife, a German named Helene, and his two sons. His weaknesses were a love of luxury and, consequently, a tendency to play fast and loose with the network's funds. He was also rather too much of an individualist for Moscow's tastes and did not always keep strictly to the rules laid down for Soviet agents." Peter Wright, a senior figure in MI5, explained in his book, Spycatcher (1987) that Radó was one of a group of "great illegals" that included Ignaz Reiss, Walter Krivitsky, Theodore Maly, Arnold Deutsch, Richard Sorge, Dmitri Bystrolyotov, Leopold Trepper, Henri Pieck and Hans Brusse. "They were often not Russians at all, although they held Russian citizenship. They were Trotskyist Communists who believed in international Communism and the Comintern. They worked undercover, often at great personal risk, and traveled throughout the world in search of potential recruits. They were the best recruiters and controllers the Russian Intelligence Service ever had." 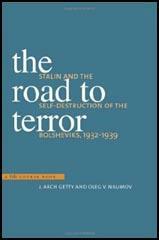 Since the 1930s Joseph Stalin had been purging his international agents as he saw them as supporters of Leon Trotsky. After being arrested in Cairo Radó was deported to the Soviet Union in August 1945. The following year he was sentenced to 10 years on espionage charges. He was released following the death of Stalin in 1953. He returned to Hungary where he was appointed as professor of cartography at the Karl Marx University of Economic Sciences in Budapest. Alexander Radó died on 20th August, 1981. The Regional Director of the Swiss network was Alexander Radó, an experienced agent of the G.R.U., Hungarian by birth, who at one time had operated a news agency in France as a cover for his work. But it was in Switzerland that he made his name as a skilled and discriminating spy chief. He had originally been a member of Bela Kun's organisation and at the age of nineteen, when Kun's rebellion in Hungary petered out, escaped to Moscow. He had been appointed in charge of the Swiss network at the time of the purges in 1936-37. Radó's greatest asset was his personal charm, which won him a wide circle of friends, none of whom suspected his true role but all of whom in some way or other unwittingly served his purpose. He had a genius for drawing intelligence out of unsuspecting friends. In Geneva he lived an outwardly respectable life with his wife, a German named Helene, and his two sons. His weaknesses were a love of luxury and, consequently, a tendency to play fast and loose with the network's funds. He was also rather too much of an individualist for Moscow's tastes and did not always keep strictly to the rules laid down for Soviet agents. One of the somewhat demoralising factors with which the Swiss network had to cope was that the Centre in Moscow only belatedly realised how vital it was to their interests. This was a bad error of judgement on the part of the Centre, and it was reflected in a certain meanness in supplying the network with regular funds. To some extent this explained the irregularities which Radó used to practise, for as the war continued and as expenses grew so the Director of the network had to seek other means of acquiring funds to carry on the work. This was sometimes achieved by obtaining money from other networks, particularly from the U.S.A. In the end the Swiss Intelligence acquired a complete picture of how the whole network was operated and financed and there were clear indications that some of the movies belonging to the network were used by Radó in promoting his numerous love affairs. Radó foolishly mixed work and pleasure and though this might give him an excuse for devoting espionage funds to financing mistresses who became his agents, it was a gross breach of all the rules, not least when he was seen with these women agents in public places. The network was supposed to operate independently of and to be unknown to the Swiss Communist Party, but in fact Radó again broke the rules by establishing contacts with two of the most prominent members of this Party, Karl Hofmaier and Leon Nicole. Such blatant flaunting of the rules of the game must inevitably sooner or later have ruined Radó's career in the Russian Secret Service. Many more conscientious spy chiefs had been liquidated for far less than this. But Radó succeeded for a long time because of the quality of the intelligence he provided. He also ensured that this was passed to Moscow by the speediest possible method of communication-radio. Altogether he had three transmitting stations set up in Switzerland, one being operated by Alexander Foote, another used by a twenty-one-year-old mistress of Radó, Margaret Bolli. The most valuable intelligence supplied by Radó's ring was that concerning German military moves. While not detracting in any way from the ability of the network to organise its own intelligence, it must be conceded that to a considerable extent they owed much to indirect aid from the British and a degree of infiltration of the Soviet network by the British. At this time Britain had most to gain by doing everything in her power to ensure that Soviet Russia realised that Germany was planning to invade her. Russian mistrust at the highest level made this extremely difficult, but fortunately there were some Soviet agents who, not being themselves Russian, and therefore not narrowly suspicious of British motives, were prepared to co-operate. But the real problem was how to help the Russians without the Russians themselves knowing who was helping them. This network, which had been organized before the war broke out, was headed by Alexander Radó, who had been a communist militant since his youth and had played an active part in the Hungarian uprising of Bela Kun. Radó was a remarkably learned man; he was a well-known geographer, and he spoke several languages. All the efforts of Radó's network were directed against Nazi Germany. In principle, the Red Orchestra should not have had any contact with him, but in 1940 the Center sent Kent to Switzerland to teach Radó the techniques of radio broadcasting and give him his code. The very idea of such a mission was a serious error, for in 1940 the Center had many alternatives, and had no need to send the working head of an occupied-zone network. When Kent was arrested two years later and went over to the German side, the information he turned over on the Radó group had very grave consequences. He knew Radó's address, his code, and the wave length of his broadcasts. Radó sent dispatches by three transmitters, the so-called "Three Reds"; they were all intercepted. In spite of Kent's collaboration, the Germans had considerable difficulty decoding them, and they decided to send some agents into the field.